Not for Profits playing in the digital marketing space shouldn’t always trust companies like Google, Facebook and LinkedIn to advertise in a way that’s right for their organisation, writes Jane Metlikovec, account director of digital at Think HQ. The digital world is telling me not to exercise to music and that my child doesn’t exist. This annoys me for a few reasons: 1) I love digital technologies and communication 2) I like running 3) I enjoy music 4) I am very fond of my 5 year old. Every time I pull on my headphones I am hit with a wave of digital advertising, supposedly targeted to the kind of person I am. Sure, I could pay to remove ads or do some phone settings trickery to try and shift the targeting, but why should I have to? Especially when the problem could be minimised if organisations just cared a little more about their digital audiences and did their research better. In just one hour of music streaming this morning, Hyundai told me to buy an infant-friendly car, the Victorian Government suggested perhaps I should get active by taking a social walk (“it’s not really exercise! It’s just catching up with friends!”), the Salvation Army asked me to donate now to stop homelessness three times in the space of 20 minutes, and I was told to make a trip to a local bridal expo. Over on Facebook, the Australian Institute of Business suggested I consider a post-grad qualification and told me I really should be thinking about new season winter boots. According to digital marketing experts, 2016 was to be the year of “big data”, where organisations and senior marketers invested heavily in really understanding the digital needs of their supporters, customers, donors and influencers. If that was really the case, why don’t the digital advertisers know that I’m quite happy with my existing school-aged child, and that I love running and snowboarding? I just finished my masters and I am highly unlikely to donate to a charity while I am attempting to prepare and transport said child to school. I love my partner, we are happily unmarried, and I’ve never purchased shoes online. Digital marketers are getting me so wrong. The Google Display Network pushes ads that reach a massive 90 per cent of internet users worldwide – including through apps. It’s a supposedly incredibly sophisticated system, with myriad opportunities for digital advertising to meet any organisation’s needs. Contextually target someone here, remarket at another there, or reach an affinity audience during the day. Then there are the socials – boost a post or a page or an action button and boost some more. Put them together and it’s like buzzword bingo for the modern online marketer. So why doesn’t anyone seem to be asking what I believe is an obvious question… could all of this targeting actually be harming the people you want to connect with? And could well-intentioned organisations trying to engage with me online actually be wasting their money? Consider this. Google has paired me with around 5,000 “like” people – based mostly on my age and where I live. So those ads I’m getting for infant-friendly cars are probably also going to one of the 300 of those 5,000 who has been trying unsuccessfully to have a child for the past year. And that bridal expo ad? That’s probably going to one of the many who can’t actually get married to their partner according to Australian law. Worse than just being a wasteful exercise, lazy digital marketing can be highly insensitive stuff, and I shudder to think about what this sort of targeting could do to vulnerable people. Whenever I create a website or app, I stick photos of my target audiences to my laptop. I research, research, research. I work closely with real humans to create something that works for them. Every good app creator, web developer and user experience specialist I know does the same. Then digital marketing comes along and in one swift AdWord, all of our honest, human-focused work is undone. So here’s some advice for values-driven businesses and Not for Profits playing in the digital marketing space – don’t place all of your trust in digital companies to advertise in a way that’s right for you. Google, Facebook, Instagram, Snapchat, LinkedIn: They all want your money, but your content will likely just be served up to generic “special interest” groups. Instead, I’d suggest using Google to create “managed placements”, which give you more control over the actual sites and apps your digital ads are placed on. On Facebook, don’t rely on the special interest groups they suggest you engage with. Look at your top supporters and customers and visit their Facebook pages. What are some of the groups they are part of? Who are some of the people they follow? Find commonalities and interests there, find what they dislike and don’t engage with, and build your own data for targeting. Every time I have taken this approach, I have created digital campaigns vastly different from what Facebook suggested. With the right amount of effort, digital communications and technologies can be a very effective way to reach your audience, and that’s why I love them. Just don’t rely on the (money making online advertising) machine to always do right by you or your organisation. Do your own (thorough) research and you’ll be rewarded. You’ll also avoid offending – and potentially causing harm to – the very people you want to engage. 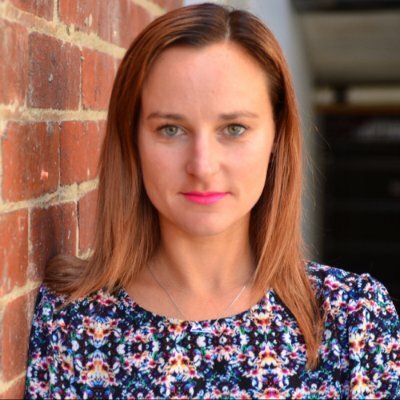 About the author: Jane Metlikovec is the account director of digital for communications agency Think HQ that specialises in PR for projects of substance. She has created apps, websites and digital marketing strategies for a number of Not for Profits, ethical businesses and government agencies.